Where Can I Get A Reliable Software/ Saas /Paas / Iaas For Calculating "Payrolls"
I am looking for a software which could help us calculate "Payrolls" of the employees, i need a software which is a reliable one and which can be trusted, a software which takes "Data security" seriously as we ourselves are very concerned about security of our Data. The payroll outsourcing organisations are difficult to trust sometimes, we need something where we can supervise the movements of our Data. I would like to brief you about the HRMantra's product. We are into to this business( Hr & Payroll software ) since 17 years. We have a complete hire to retire web-based HR Payroll software with free mobile application exhaustively covering every corner of HR and Payroll domain with more than 10 modules. As per your requirement, we have great Payroll system which will reach all your payroll activities firmly. And as far as data security is concerned we fall under Tier 4 category of Datacenter classification. For free online demonstration " https://www.hrmantra.com/SignUp.aspx "
factoHR is a Payroll and HRMS engine for businesses in India, with leave & attendance tracking and native mobile apps for employees. It is designed to provide HR managers with insight into their workforce, and support & automate HR operations from employee hire to retire. It empowers HR person to do all of activities not in days but in hours. 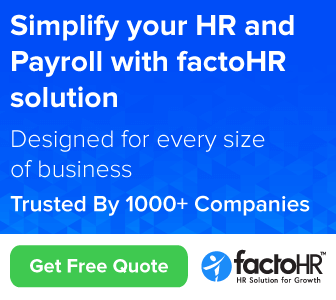 factoHR capabilities include Payroll Processing, Performance Management, Attendance & Leave Management, Travel Expense Management and statutory reporting. I understand the concern of privacy of data as far as payroll is concerned. However if that is the only reason for not turning in to a payroll outsourcing provider, you are wrong. All reputed service providers give no.1 priority to client data privacy. However it is up to you whether to go for a payroll and manage yourself or outsource it. In either way, I suggest to use greytHR, the most trusted payroll in secure cloud platform. The advantage here is a solution which is already tried and tested by a million users and a forty hundred organisations in India. Apart from this in case at a later stage, if you decide to move to an outsourcing agency, no need to move to another platform as a good number of payroll service providers and CAs use greytHR. No accept the suggestion without validation. So please try one free payroll cycle https://www.greythr.com/signup/, get convinced and then continue. We were in the same situation a while ago. Trying to find a good HR Payroll platform that is easy to use and covers our 100% needs. After carefully studying all major products in the market, we really felt disappointed. With that frustration our team worked hard and actually engineered a modern HR Payroll platform with world class user experience. I know I’d be a little biased when I recommend our own product, but quickly check the website https://www.keka.com and see for yourself. Request your time for a free online demo. Link here " http://bit.ly/2mro5CQ "
You are absolutely correct about your approach and i totally agree that the security of the 'employee data' is very important for the company and the employees as well. I am actually very glad you raise the concern about the security of the data and i must tell you we are a cloud based HR & Payroll service provider "KEKA". and very less of the HR's we have had conversation with raised their concern about the security of their data. I believe that data security should be in the top of priority list while going through any technical upgradation. In fact you should visit our website and go for a free trail and take a look at the functionalities and amazing experience we provide as well - "https://www.keka.com"
I can suggest you one of the leading employee payroll management software that is fully expertise in managing all the systems like Human Resource Management system, Employee Payroll Management System that will free you from all your HR Management worries and easiest way to manage all data of your employees in a single platform. There are multiple software available in the market. greytHR is one software ensuring 100% data security. Why dont you try greytHR-a SaaS based HR & payroll software serving the SME segment. They have a 30 day free trial and the pricing is as low as Rs. 995/ month. It covers all crucial aspects of payroll management; leave, attendance, payroll processing, statutory compliance, etc. This Tips to evaluate an application on SaaS will help you get a better understanding in evaluating a software. PeopleStrong is India’s leading HR Solutions and Technology Company based out of Gurgaon with its regional offices in Mumbai and Bangalore. An integrated offering which provides 100% automated, on time and accurate payroll management along with self-service access. To know more about us, please visit our website. You can also call on 9560998686 for further inquiries. We are taking this opportunity to introduce brief background of our Outsourcing Service venture PCMS Outsourcing (PCMS) based in Delhi & Gurugram. PCMS is one of the leading service providers for Outsourcing Solutions for Payroll & Compliance Services, Exit Interview Services, Online HRMS Services, ESI PF Consultancy, Accounting Services, Cost Audit services, Management consulting services, GST Services. Please feel free to write back to us or reach us with any queries at or . We would be happy to serve you. We would look forward to your revert and have a mutually beneficial association with you. You will Get Reliable Software for Calculating Payrolls at #KloudConnectors. Cloud/SaaS systems have become essential for every business and so is Cloud Connectors. Kloud Connectors integrates popular business apps in cloud. KloudConnectors is a cloud integration platform, It integrates popular #SaaS/Cloud Apps at Business Processes level and Data level. And Get 15 Days free Trial. Hi Urvashi, I highly appreciate your concern for data security while using payroll software. But if you will use good payroll software, like quikchex which is already used and trusted by many organizations. So try this https://bit.ly/2RqIhQS, get convinced and then continue. If you are looking to automate all HR and Payroll tasks for your company, I recommend you check out Kredily. Write to us at for more information. Do we need to include weekly offs while calculating wages? While calculating the number of days worked in a month, should we consider weekly offs? Payroll Input Sheet For Salary Preparation? HR job have scope in future? What are all the things I should learn in Human Resource management? Current company not accepting buy out - How can i proceed in this situation? Provident Fund Retirement Age and if employee want to continue then deduction is necessary or not ?? Train the trainer - reputed and accredited National or International course? Salary design for pvt. ltd firm - rules for compensation? Start payroll consultancy - which license / other legal procedure? Performance Management - KPI for Accounts Department Purchase Department Commercial Department? Not to tie the salary increment with the performance review - How will I decide the increment percentage? 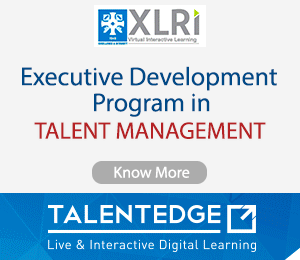 Trending professional courses into HR and their importance in coming future? Should we hire a consultant to create HR policies for a pvt ltd firm or are they available on net? How to manage leave records for all the departments in the group? Where to study payroll in detail salary slabs taxation etc?